Click on a person's name or image to view his or her biography. Click on a person's name to view his or her biography. Mark A. Klein brings to the Board extensive experience in the financial institution industry. He was appointed Chairman, President and CEO of the Board of Directors of SB Financial Group, Inc. in 2015. Previously, he served as President and CEO of SB Financial Group, Inc. since 2010 and State Bank since 2006. Mr. Klein is a 1976 graduate of Defiance College in Defiance, Ohio with a Bachelor of Science Degree in Finance. He is a 1988 graduate of the University of Wisconsin – Madison Graduate School of Banking, and received his Master of Business Administration (MBA) from Bowling Green State University in 2002. Mr. Klein recently completed a study in Disruptive Innovation (DI) at Harvard Business School and is currently pursuing a Certificate of Management Excellence (CME). Prior to joining the Company and State Bank, he was Senior Vice President Private Banking of Sky Bank, Toledo, Ohio from 2004 to January 2006, and Vice President and Team Leader of Sky Bank, Toledo, Ohio from 2000 to 2004. From 1994 to 1999, he was Executive Vice President and Senior Lender at a $450 million Sky Bank affiliate. Mr. Klein is currently Chairman of the ProMedica Defiance Regional Hospital Board. He previously served as a board member of the Defiance City Schools for 20 years while serving as its president for four terms. In 2013, Governor Kasich appointed Mr. Klein to serve on the State of Ohio Banking Commission and served until 2018. In 2015, he joined the Defiance College Board of Trustees. In March 2017, Mr. Klein was named to serve on the Federal Reserve Bank of Cleveland’s Fourth District, Community Depository Institutions Advisory Council (CDIAC). The CDIAC provides insight to the Cleveland Reserve Bank from the prospective of community depository institutions. In June 2017, Mr. Klein was appointed to serve as a representative of the Ohio Bankers’ League to the Graduate School of Banking at Wisconsin’s Banker Advisory Board. Mr. Klein is active in his community including his involvement in Defiance 2100; a diverse group of community leaders driving economic progress. He is also a past member of the Defiance Area Foundation and Defiance City School Foundation. He and his wife Barbara, are parents of two children, Joe of Findlay, Ohio and Katherine of Columbus, Ohio. 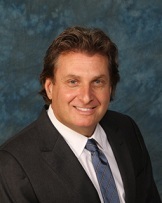 Anthony V. Cosentino has served as Executive Vice President of SB Financial Group, Inc. since March 2010. Mr. Cosentino is a 1983 graduate of Miami University in Oxford, Ohio with a Bachelor of Science Degree in Accounting, and received his Master of Business Administration (Finance) from The Ohio State University in 1989. Mr. Cosentino has worked as a Senior Financial and Accounting Officer in the banking industry for over 25 years. He most recently served as Vice President for Financial Planning and Analysis at AmTrust Financial Corporation in Cleveland, Ohio from June, 2006 until December, 2009. Prior to joining AmTrust Financial Corporation, Mr. Cosentino was Chief Financial Officer of Fifth Third Bank of Northeastern Ohio, a subsidiary of Fifth Third Bancorp, from August, 1994 to May, 2006. Mr. Cosentino is a Certified Public Accountant. George W. Carter currently serves as the CEO/General Manager of Paulding Putnam Electric Cooperative, a rural utility serving member/owners in Ohio and Indiana, and has held this position since 2005. Paulding Putnam Electric Cooperative has annual revenues exceeding $30 million with assets totaling over $75 million. Mr. Carter has served on several corporate boards of directors, including Buckeye Power, Inc., an Ohio-based generation and transmission corporation with nearly $2 Billion in assets, and United Utilities Service, a Kentucky-based manufacturer of utility transformers and wholesale provider of utility materials. Mr. Carter is an active member of his community, currently serving on the board of the Northwest Ohio Port Authority; the Buckeye Power (G&T) Board as Trustee; the Paulding Kiwanis Club (Director); and as President of the United Way of Paulding County. He holds a B.A. degree from Oakland University, Rochester, Michigan. Robert A. Fawcett has served as Director of SB Financial Group, Inc. since 1992 and as Director of State Bank and Trust Company since 2004. Mr. Fawcett is an Insurance and Sales Consultant, FRL/United Insurance Agency since 2002; Retired Agent, Fawcett, Lammon, Recker and Associates Insurance Agency, Inc., sales and service of property and casualty insurance since 1976; Vice Chair and Director, Putnam County MRDD Housing Board since 1986. Gaylyn J. Finn has served as Director of SB Financial Group, Inc. and State Bank and Trust Company since January 2010. Mr. Finn served as Associate Vice President for Finance/Treasurer of Bowling Green State University from 1986 until his retirement in September of 2008. He has been a Certified Public Accountant (CPA) since 1974. Richard L. Hardgrove has served as Director of SB Financial Group, Inc. and The State Bank and Trust Company since 2004. Mr. Hardgrove served as President and Chief Executive Officer of the Eastern Region of Sky Bank, Salineville, Ohio from 1998 to 2001; Deputy Superintendent of Banks, State of Ohio from 1996 to 1998; Trustee of Akron Children’s Hospital from 1993 to 2004; Chairman of the Board of Akron Children’s Hospital from 1998 to 2002; Director of State Bank since 2004; Director of RDSI Banking Systems, Inc. (“RDSI”) since 2009. Tom R. Helberg earned his J.D. in 1984 from the Univeristy of Toledo College of Law, and his B.A., in Communications from the University of Southern California in 1981. Mr. Helberg has been very active in a variety of civic and business activities, including serving as a member of State Bank's Toledo Advisory Board since 2013. Helberg practices real estate law with Liebenthal Levine, Ltd., and Tom is active as the manager and principal of Bellevue Investors Company, LLC, a commercial real estate development and investment company. Tom is a member of the Ohio State, Toledo and American Bar Associations. He is also a member of the Toledo Hospital Foundation Board and is a member of the Sylvania Township Board of Zoning Appeals. Rita A. Kissner has served as Director of SB Financial Group, Inc. and State Bank and Trust Company since 2004. Principal Occupations: (Retired) City of Defiance, Ohio, served as Mayor from 1992 to 1999, Finance Director from 1987 to 1991, and Auditor from 1980 to 1986; Downtown Development Director, Defiance Development and Visitors Bureau from January 2007 to July 2008; Trustee, Vice-Chair, Defiance College Board of Trustees. Mr. Martin has extensive background in finance and leadership within his community. He has over 26 years experience in finance. He has been a certified public accountant since 1993 (currently inactive). He started his career at a “Big 8” accounting firm and held the position of Controller at a furniture company. Mr. Martin is currently Executive Vice President and Chief Financial Officer of Spangler Candy Company, a family-owned private candy making company headquartered in Bryan, Ohio where he has been employed for the past 15 years. Mr. Martin is very community involved and serves on the State Bank Williams County Advisory Board, past treasurer of the Bryan Athletic Boosters, is a member of the Bryan Area Foundation serving on both its Investment and Nominating Committees. He was recently named “2013 Business Person of the Year” by the Bryan Area Chamber of Commerce for his contribution of chairing the recent successful Bryan Schools bond issue. Mr. Martin was appointed as a director of the Company and State Bank in February 2014. Timothy J. Stolly was elected to serve on the Boards of Directors of SB Financial Group, Inc. and The State Bank and Trust Company on August 18, 2010. Mr. Stolly will serve as a member of the Audit Committee and Loan Review Committee, and has been a member of the Lima Region Advisory Board since 2006. Mr. Stolly's term as Director will expire at the annual meeting of shareholders in 2012. Mr. Stolly has over 30 years experience in the insurance industy. He joined Stolly Insurance Group in Lima, Ohio in 1979 after graduating from the University of Cincinnati, and became a co-owner in 1988. Mr. Stolly directly manages the Life, Health and Group Benefit Department, being responsible for the sales and services of all lines of Property and Casualty Insurance. He holds Life, Annuity and Series 6 Licenses and has earned the CPCU, LUTCF, and CIC designations. He is an active member of his community and various organizations, and is a current board member of the Professional Insurance Agents Association of Ohio.